I can almost hear the deep rumble of charcoal fall into the steel hollow of a Weber grill, or the click of the propane tank before it ignites an instant fire. Between Memorial Day and Labor Day alone we Americans will stuff 7 billion hot dogs into buns. That translates to 818 per second. This does not include the billions more beef burgers and steaks. The water footprint of a pound of beef is between 1500 and 2000 gallons of water. 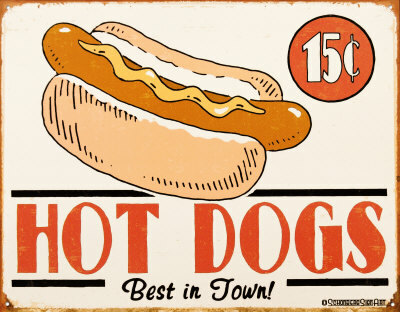 A pound of pork, the most popular meat used for a hot dog requires just above 600 gallons of water to produce. According to The Green Blue Book, my handy water footprint resource guide, sausages use almost twice the amount of water of the average pound of pork bringing it’s total water footprint to 1200 gallons. I am not suggesting you forgo grilling this Memorial Day. Our grill will be lit. But take a moment to consider the origin of meat you choose to nestle between your buns. We will grill burgers this summer. Our burgers will be draped with grilled red bell peppers, melted Monterey Jack cheese, and smothered with ambrosia sauce. 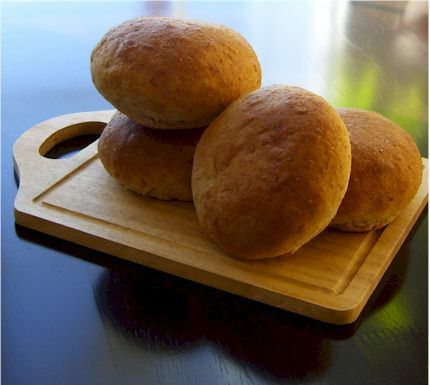 We will nestle our meat between my homemade buns (my husband loves my buns). The ground beef used to make our burger originates from a cow raised on a grassy hillside within 30 miles of our grill. The cattle is raised on a diet of rain fed grass, grown with green water. I purchased the meat from Watkins Cattle Company at my local farmers market. My tasty bites of burger won’t compromise local water supplies. The water footprint of my ground beef is largely comprised of green water that does not draw from underground or above ground lakes. I will chew my bite and know my cow fertilized the blades of grass it ate as it wandered around the hillside. My cow did not leave behind a pile of manure or a slurry of manure in a lagoon. She left no traces of hormones and antibiotics that contaminate drinking water. The farmer’s market is a great starting point to find locally raised meat. If you live in or near Ventura County, you can purchase meat from Watkins Cattle Company. Visit their Facebook page to find sale locations. Here are questions to ask your local meat producer to learn about the water footprint of your meat. 1. Ask if their animals are raised in the great outdoors or in confinement. If raised in confinement ask how they dispose of manure. 2. Ask about their animals diets. Ask if the grass or grains are irrigated (blue water) or non- irrigated (green water). Feed of an animal makes up the largest portion of the water footprint. You want animals raised on a higher proportion of green water. 3. Ask if hormones or antibiotics were used on the animal; what goes in the animal comes out the other end and could land in your glass of water. Take your water conservation this summer to your grill. Enjoy!